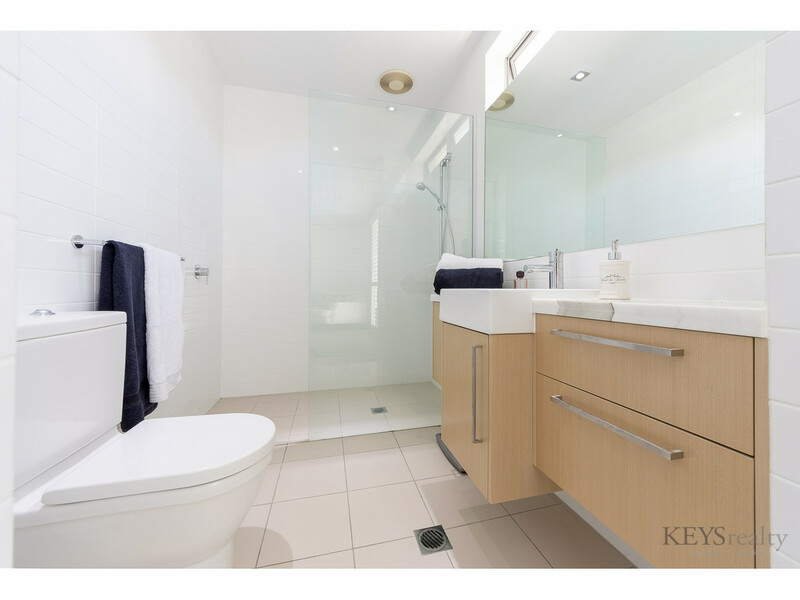 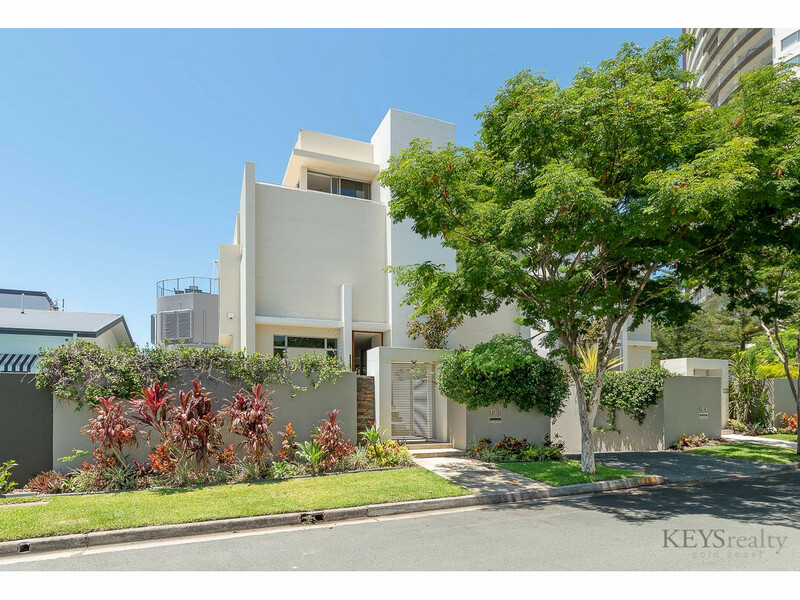 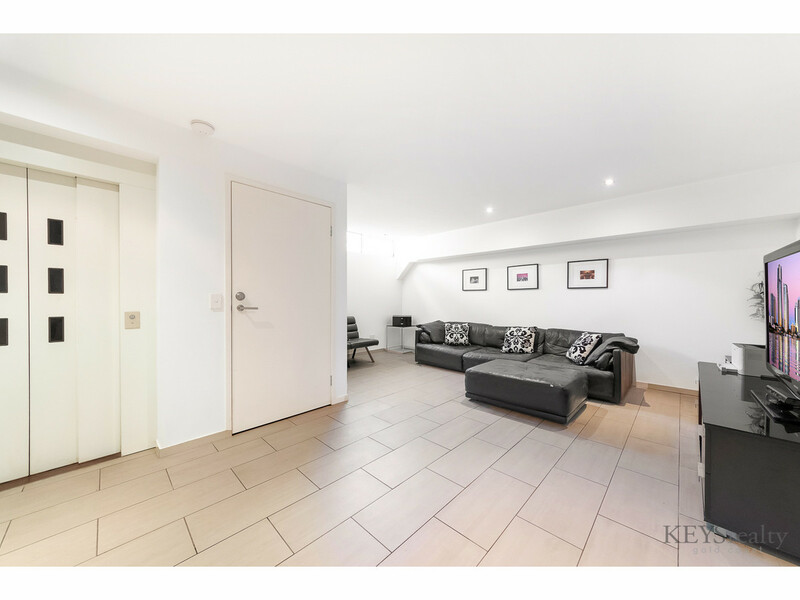 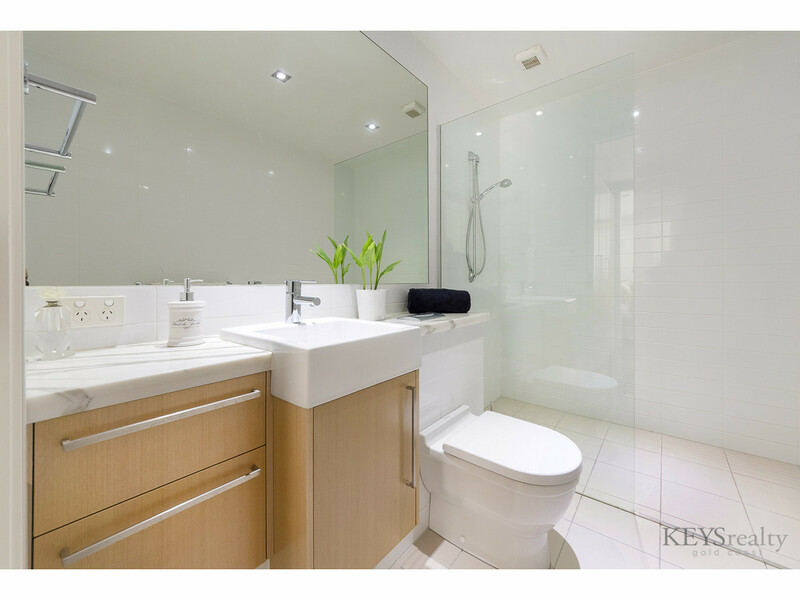 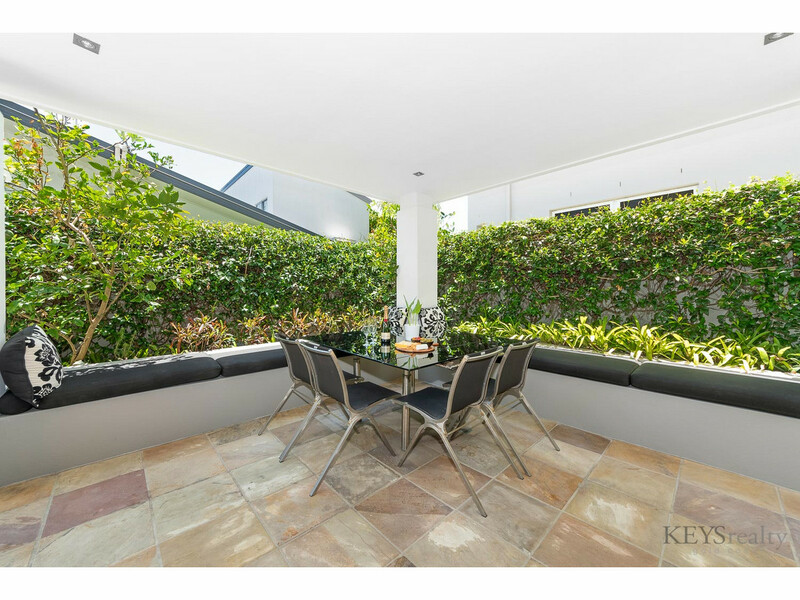 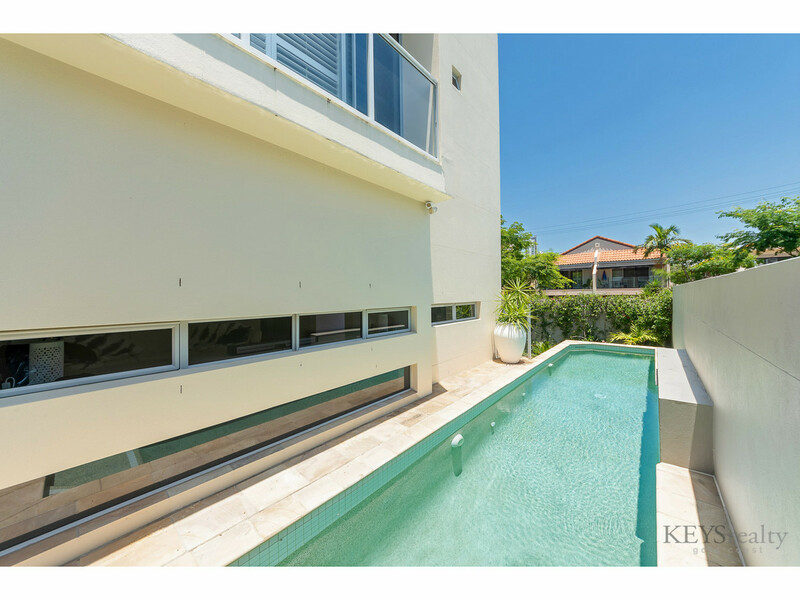 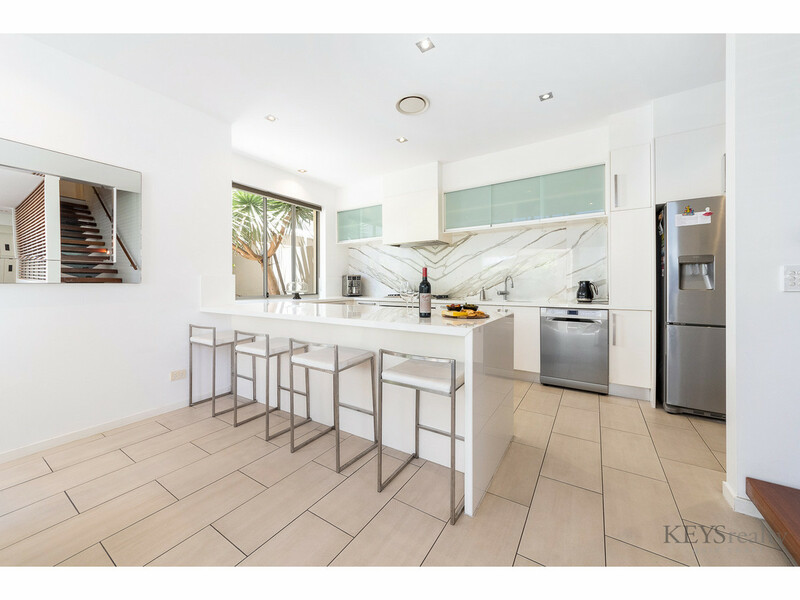 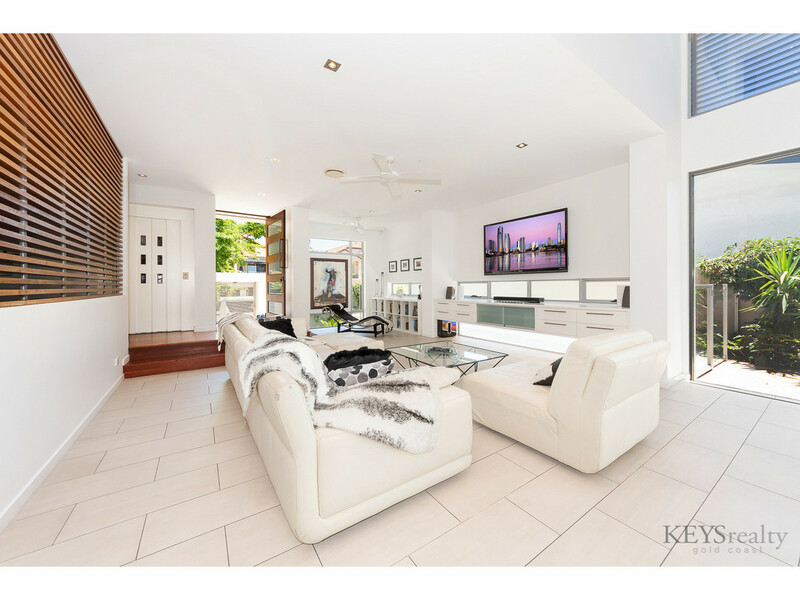 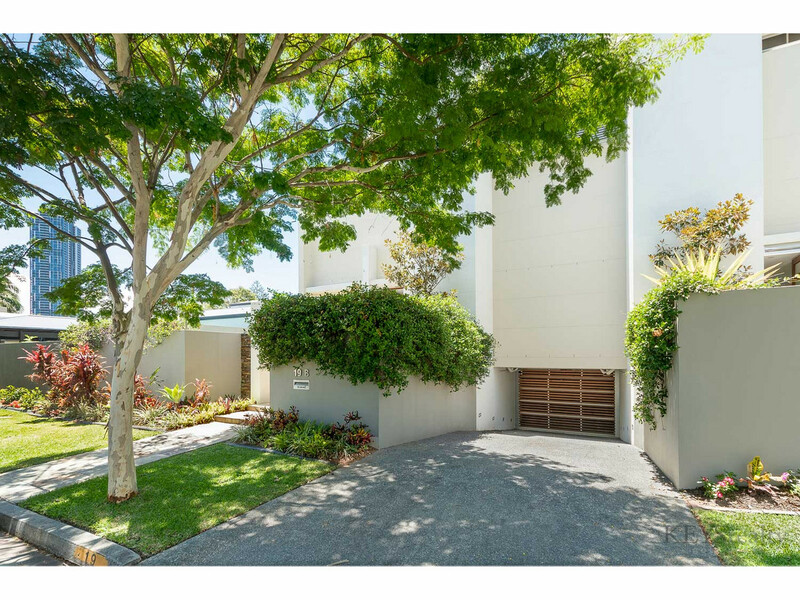 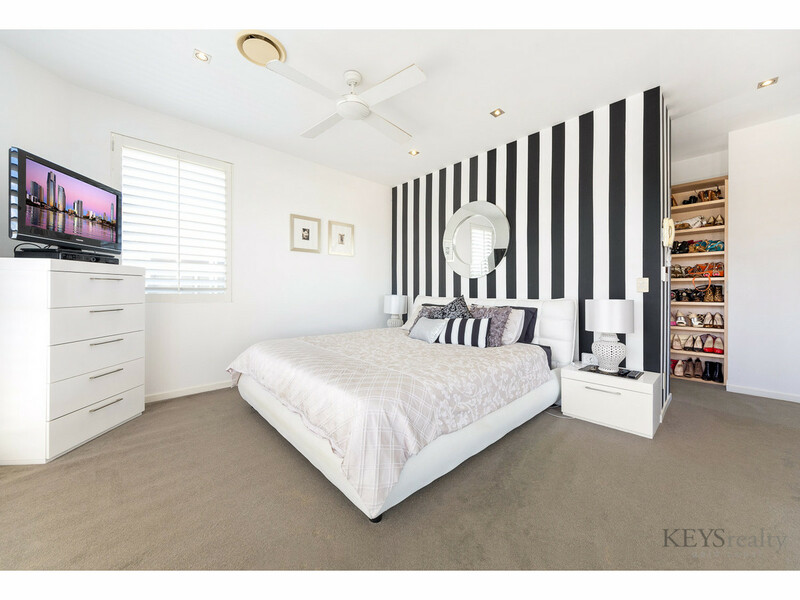 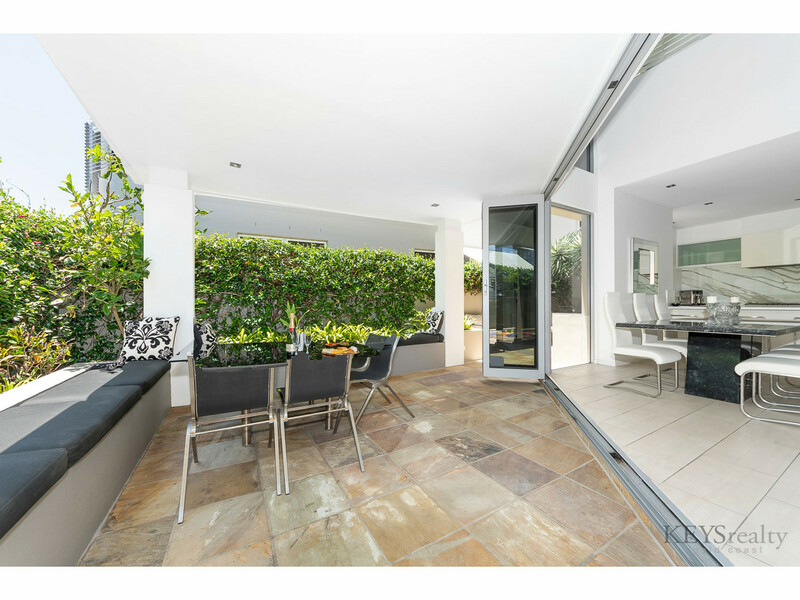 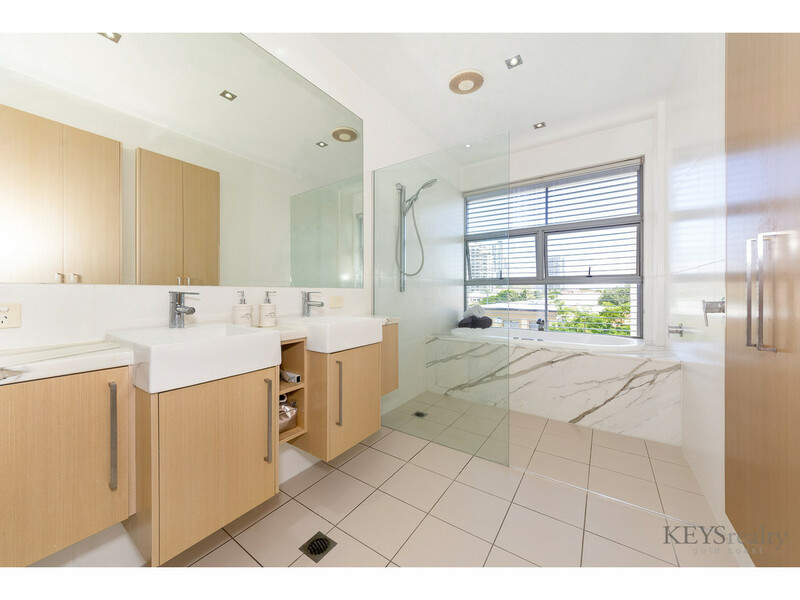 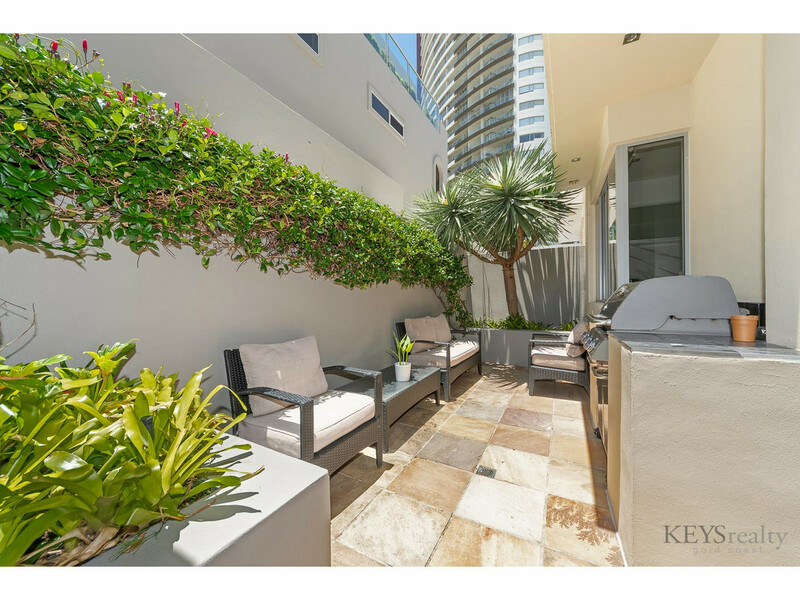 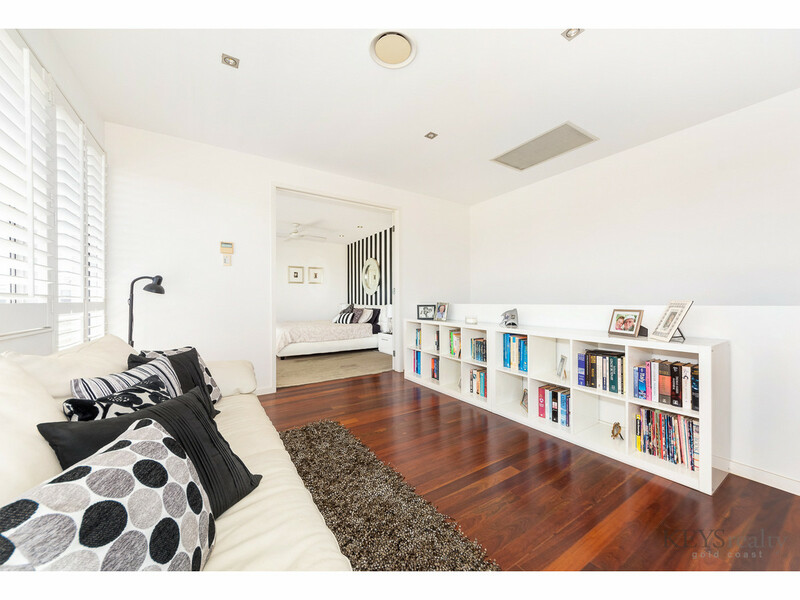 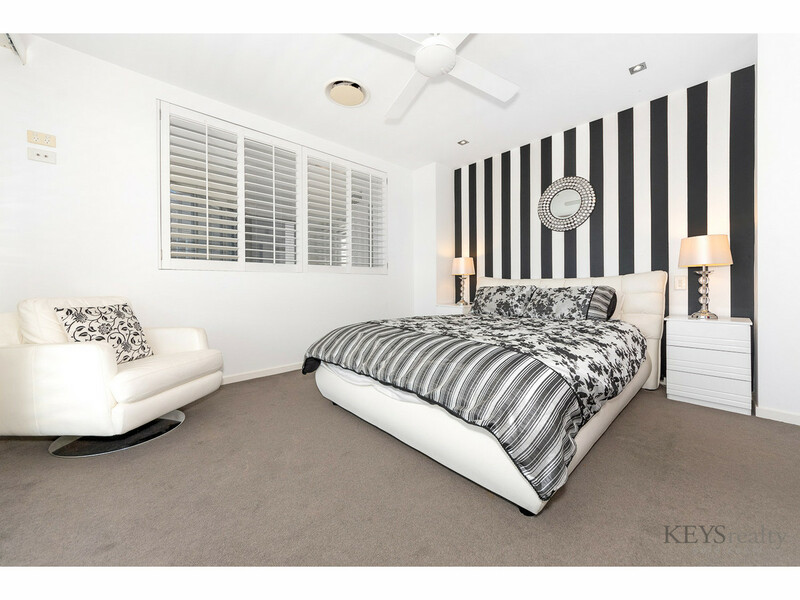 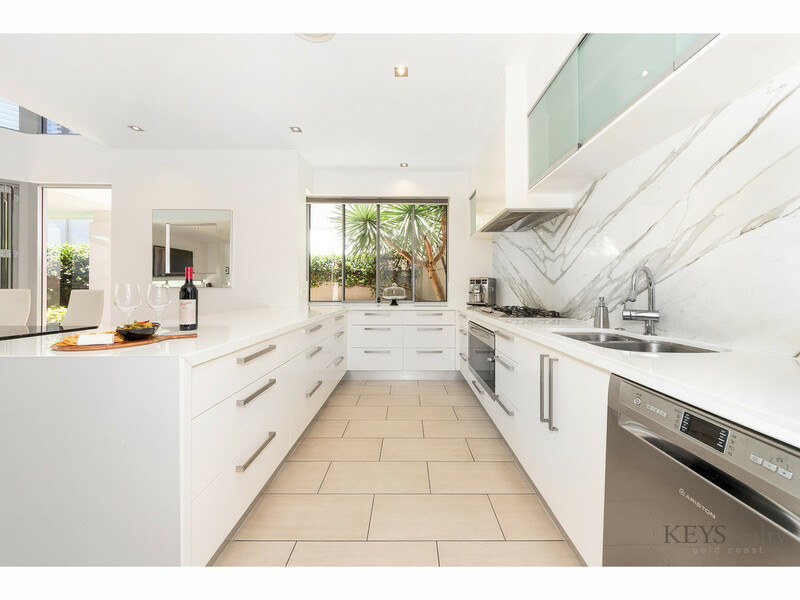 With this new to market Luxury Townhouse at 19B Lennie Avenue, Main Beach. 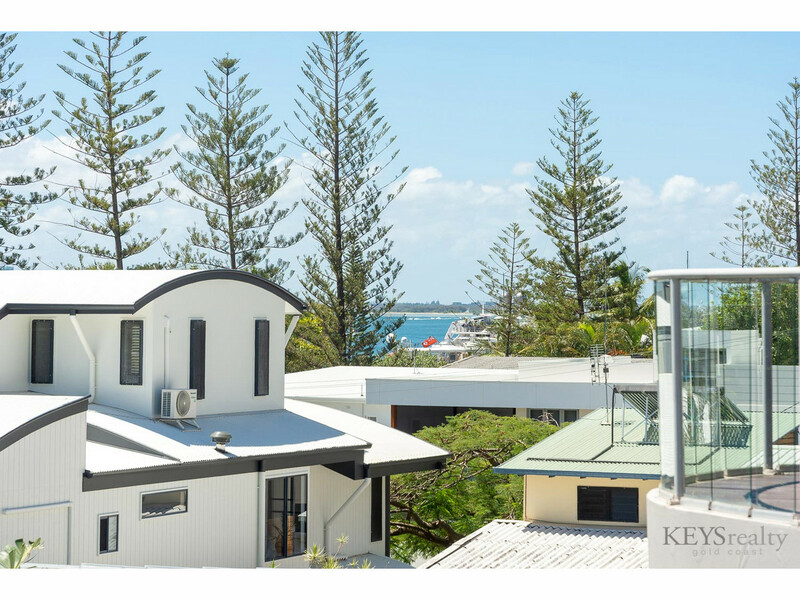 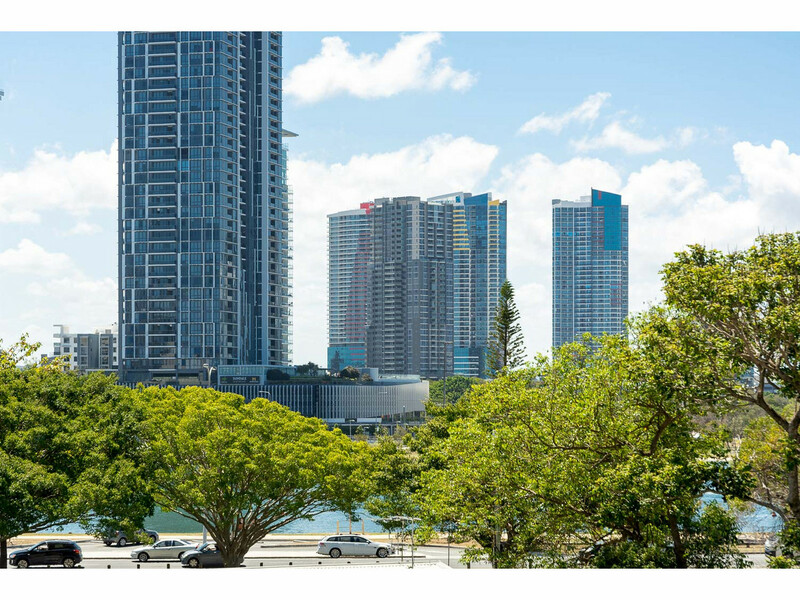 One of only 2 bespoke Bayden Goddard architecturally award-winning designed residences, “Tedder Views” is just metres from the patrolled surf beach and the Broadwater, Southport Yacht Club, Main Beach Surf Club and infamous Tedder Avenue café village. 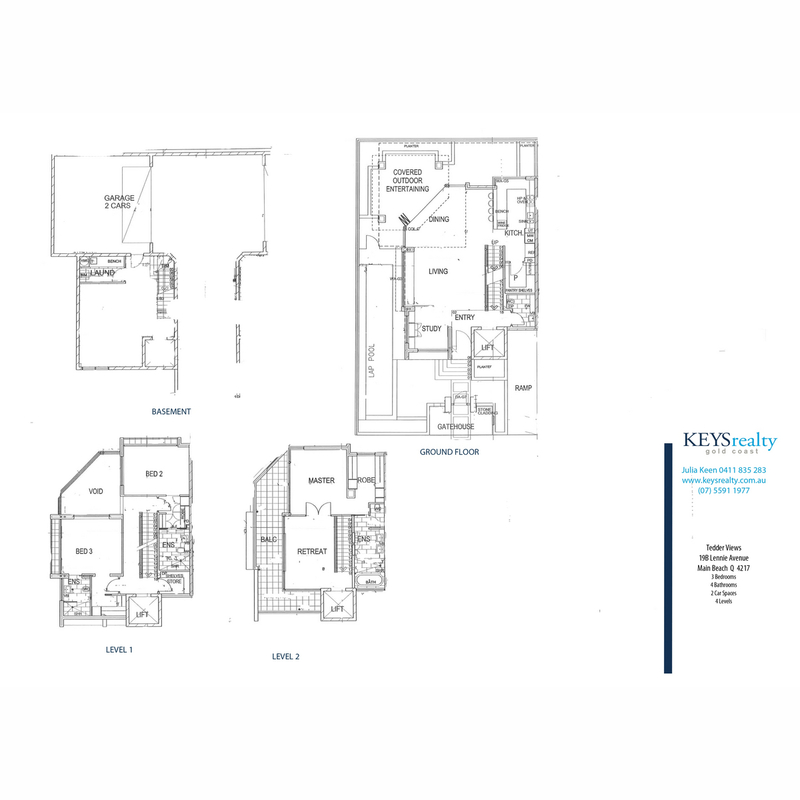 “Tedder Views” is ideally and centrally located. 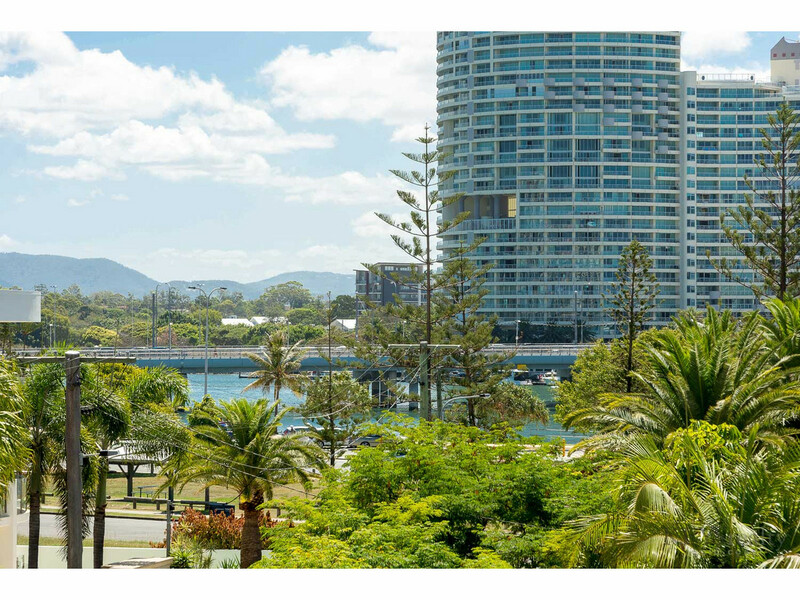 It’s all within walking distance from your doorstep and with the convenience of the nearby G-Link tram you can ideally leave your car at home. 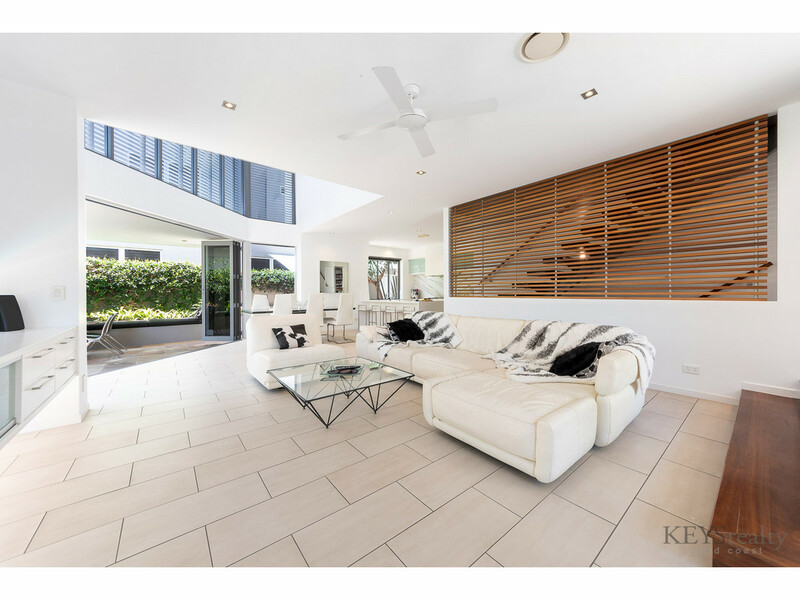 The award-winning architect left nothing out of this design and construct featuring 4 levels including below ground basement and double carpark. 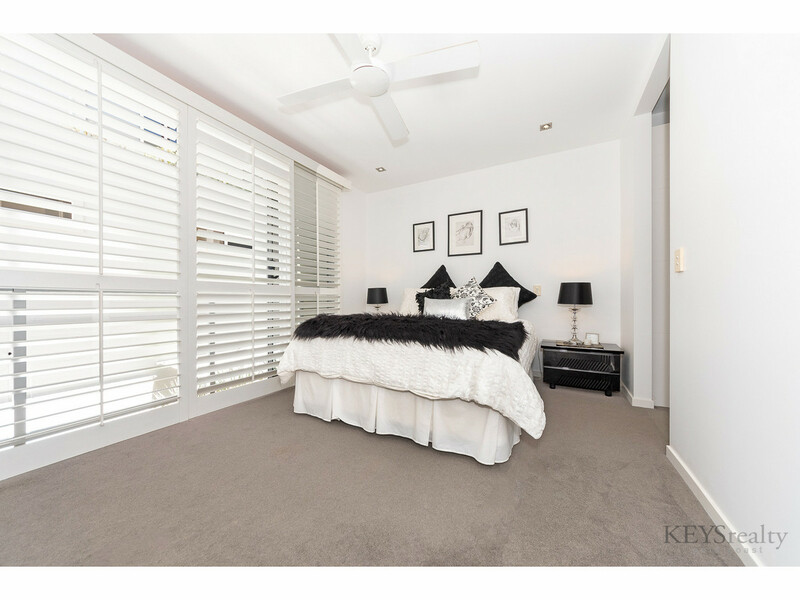 You can store your favourite reds here at the perfect ambient temperature. 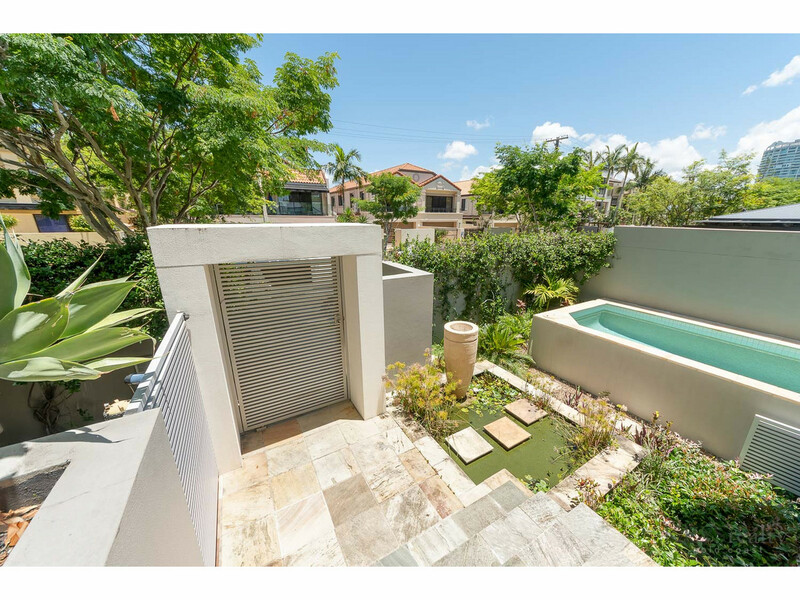 A fountain water feature greets you on gated entry nestled against a fitness first self-cleaning, lap pool, abutting your private outdoor living and BBQ area. 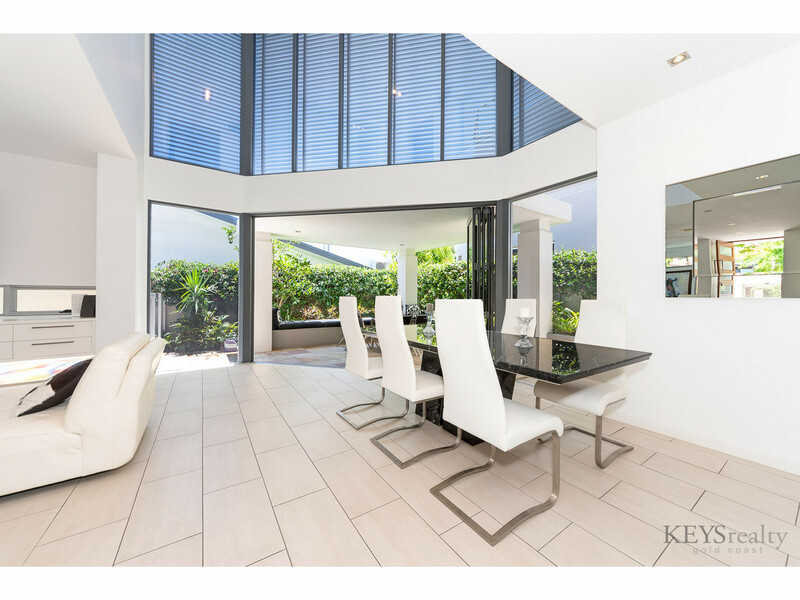 Contemporary, spacious open plan ground floor living, high ceilings, well placed powder room, Miele appliances and a solid marble bench top kitchen which includes a massive walk-in pantry makes for the perfect entertainer. 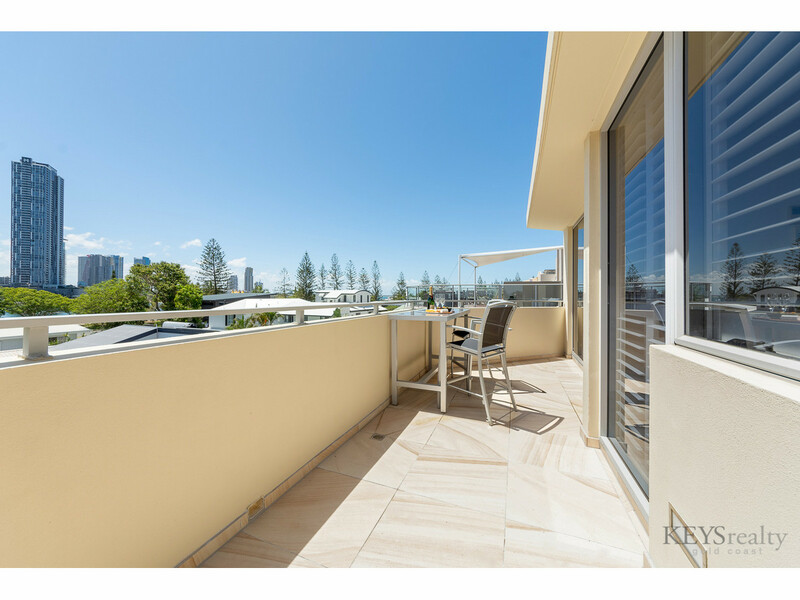 A whole level master bedroom WIR and anteroom and ensuite occupies the top floor (level 4) with private balcony and Broadwater views. 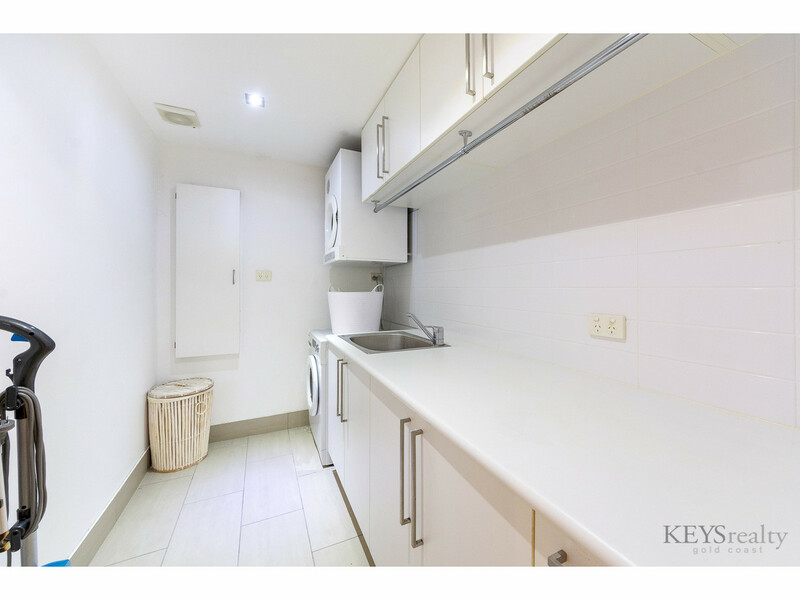 Level 3 houses a large linen storeroom and 2 guests double bedrooms each with their own ensuite. 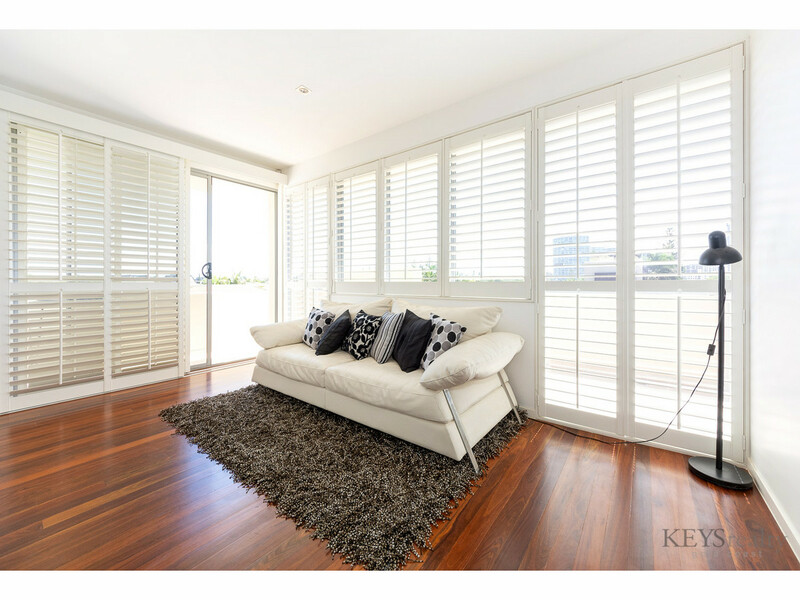 All levels are serviced by your own private lift as well as high polished hardwood stairways.